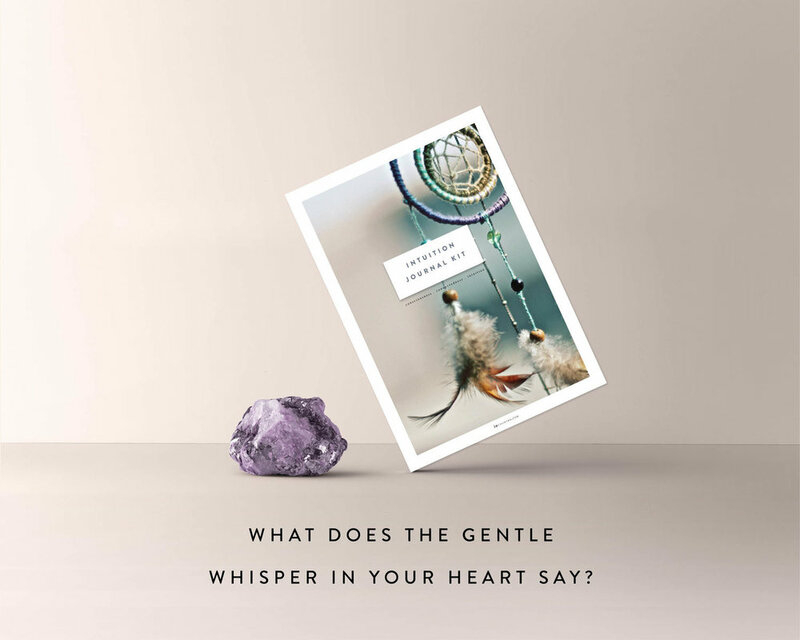 This quiet sanctuary holds a collection of journal articles devoted to cultivating Consciousness, Connectedness & Intuition. Intuitive graphic design and brand coaching for conscious entrepreneurs. My name is Jo. Graphic designer. Intuition coach. The first time I went to a yoga class was about 7 years ago. I went to a Bikram yoga class and for the next 90 minutes, I endured the dizziness of the intense heat and I struggled with every single pose. However, nowadays, I am thankful that my first yoga class was just the beginning of many other challenging practices. I am thankful that I am just beginning to understand how yoga has affected me emotionally, spiritually and mentally. And I am thankful that yoga has gradually taught me so many lessons in mindfulness - even if I was not aware of them at the time. So today, I will be sharing with you some of the mindful lessons that I have learnt from my yoga practice that has helped me both on my mat and in my life. I used to go to my yoga class with the mindset that I would embody this wellness yogi - moving into every posture with perfect intention, strength and energy. I wanted to achieve perfection in everything I did and I set expectations and future projections for myself. I moved through the class in a very controlled manner - there was never any room for error. At this time, I wasn't truly accepting the moment because I was swept up by the expectation of how my class should feel, rather than simply acknowledging the various feelings that would come up during my practice. By easing into a space where I no longer hold onto expectations, I find that I can move through each moment without judgment, but with observation. And even when the experience unpleasant, just like in life, it is a reminder that I need to take the time to sit with this discomfort and breathe through it. One of my yoga teachers spoke about this recently. When we practice yoga, we feel that we should be moving into each pose with purpose and with a powerful energetic force. We feel like each movement should be strong and that our breathing should be focused and deep to get the most from each posture. However, I have found such joy and lightness when I ease into postures with gentleness. There is something beautifully calming and invigorating about practicing yoga in a state of flow. It doesn't need to be forced - it just needs to align with where your body and mind are at in that moment. The concept of impermanence is something that resonates strongly with me when I practice yoga. Every class I have will be different, even though the postures or the teachers may be the same. This is particularly true for Bikram, where each class is composed of the same 26 poses. I think this is why I loved Bikram so much - it was such a beautiful way to really connect with this feeling of change. And even within each pose, there is change from one moment to the next. There may be initial pain or tension, which later softens to a sense of ease, or there may be strength in a posture which later gives way to a feeling of tiredness. Yoga has helped me to become more aware of my body and my thoughts. As much as yoga can be meditative, I still find that my thoughts will come and go throughout a class. Nowadays, I am more aware of the self talk that filters through when I am struggling through certain postures. It is in these moments that I realise how powerful my thoughts are in shifting my perspective. There have been so many times where I have entertained these negative conversations in my head and given up on attempting a pose out of fear. I have found it helpful to separate the negative mind chatter from what is actually going on in my heart. My mind chatter will convince me that I am too weak, too tired, too scared to attempt the next posture, but my heart will always be open to fully experiencing the class. This is still something that I struggle with immensely. Especially in classes where I am so close to the people around me, I can't help but to compare my own yoga experience with someone else's. I find myself silently competing with my neighbours, seeing how far I can stretch in comparison, or how long I can hold a pose before falling out. This is also true in life. I think that we are so easily swept up into comparing ourselves with others, from the way we look, to the way we think. But ultimately, this comparison is just our perception of what the other person's experience of life is like - it is not the truth. And yet it is so easy for us to believe it. So I remind myself that the only thing I need to focus on in each moment is my own experience - because that is all I know. And in my yoga practice, this is defined only by the experience that I have within the boundary of my yoga mat. What have you experienced on your yoga mat that has shifted your perspective on the way you go about your day? How does doing yoga make you feel spiritually or mentally? I'm Jo ChunYan. I am an Intuition Coach and Graphic Designer, currently enjoying a deeply soul nourishing experience in my spirit home, Japan. This sanctuary is devoted to cultivating CONSCIOUSNESS, CONNECTION & INTUITION. How Do You Bookend Your Day? Over 30 powerful journal and planner templates with reflective journal prompts to bring you back into your heart and on your way to manifesting your vision. Thank you! Please check your email inbox for your password to access the Intuition Collective!